The CSI3005XIII is a fully regulated, triple output benchtop linear power supply with two adjustable and one fixed output. 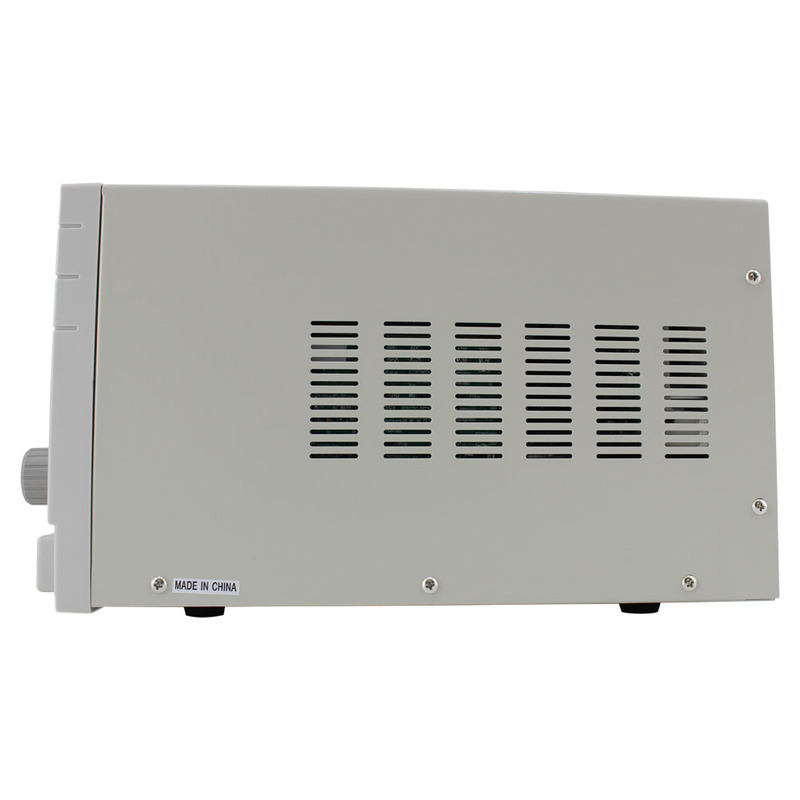 This unit is our house brand of high quality, triple output bench power supplies. 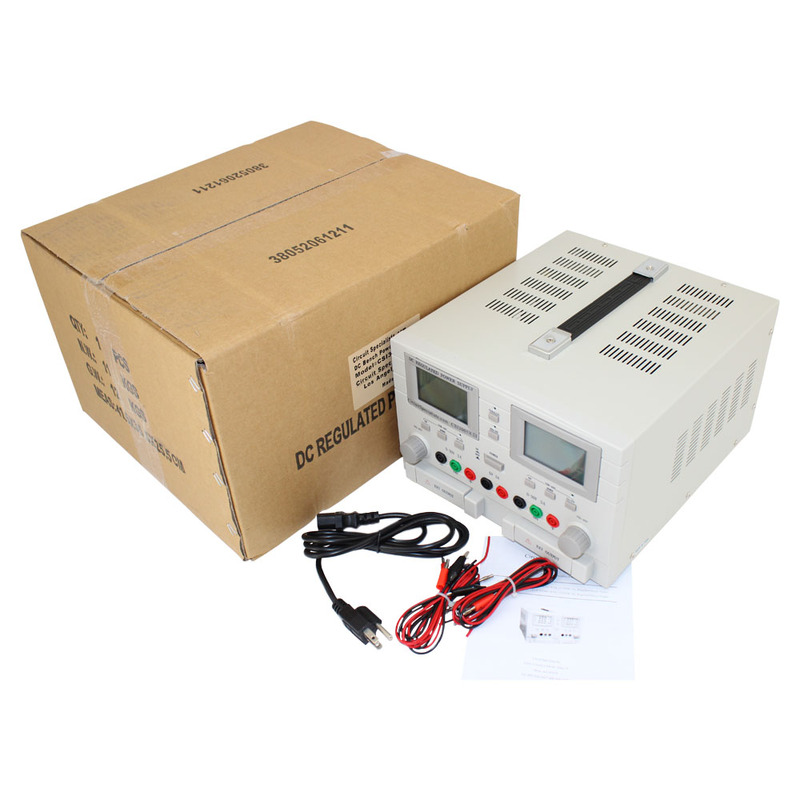 It's an excellent value for a full function DC regulated power supply. 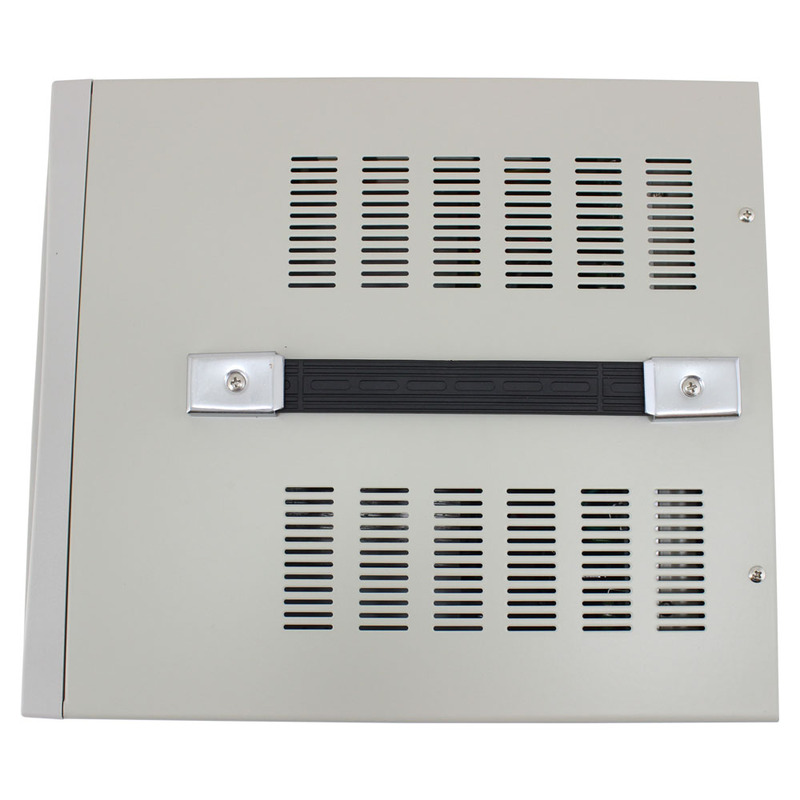 Its power and flexibility is ideal for test benches, laboratories, schools and repair facilities. 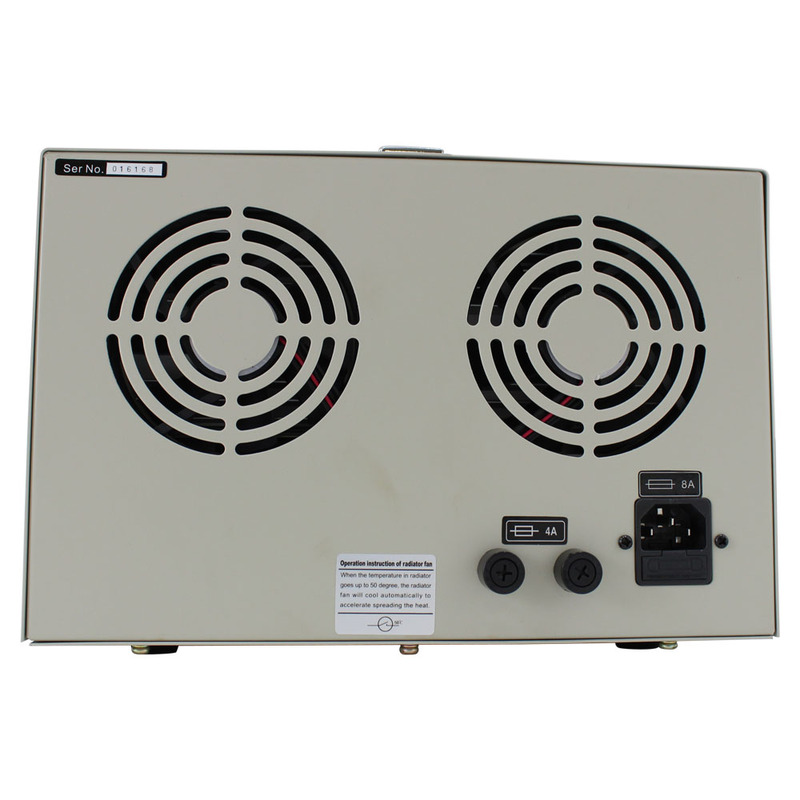 This high stability triple output linear bench power supply features two variable 30V and 5.0 amp outputs and a fixed 5V and 3.0 amp output, all located on the front panel for easy hook up and accessability. The two variable outputs on the CSI3005XIII offer user selectable voltage and current, and constant current and constant voltage modes. Fine control of voltage is via a pair of control knobs, while current is selectable by button. 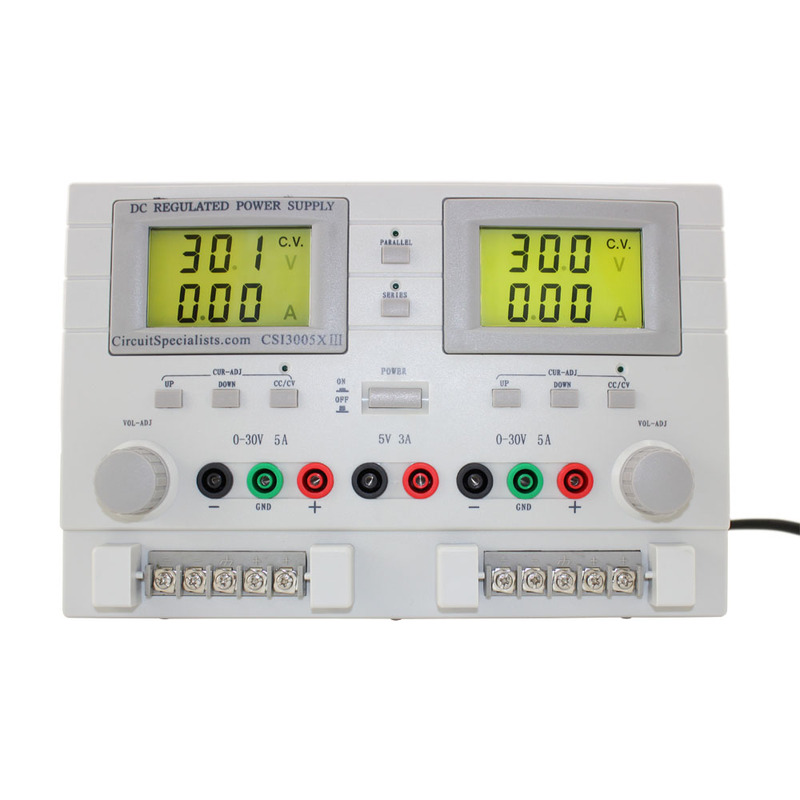 Voltage and current outputs are displayed on a pair of large, clear LCD read outs. The multi-turn voltage control knob allows a user to accurately dial in the desired voltage. 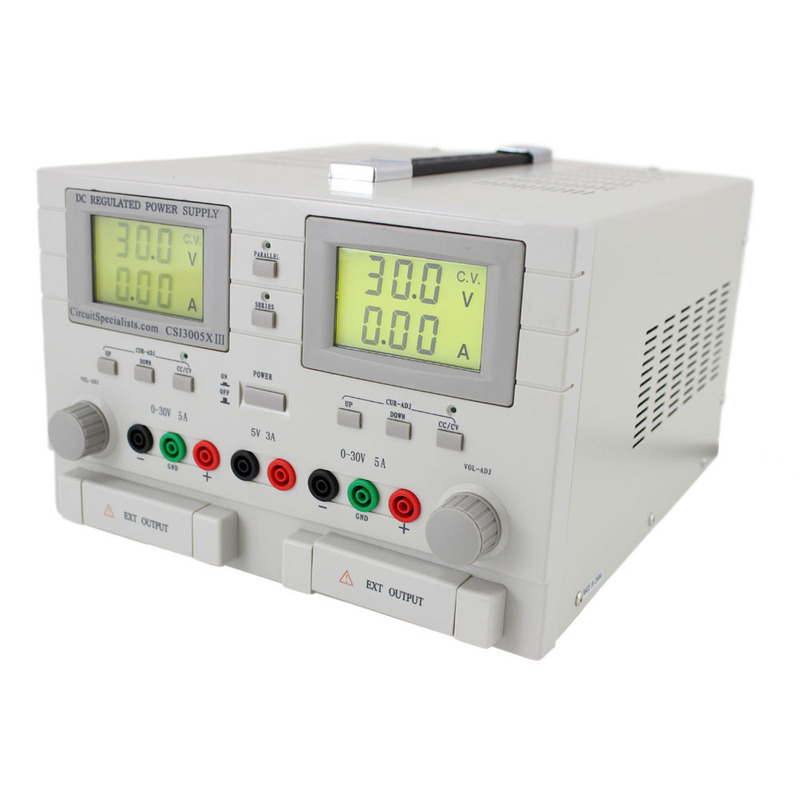 This economical yet high quality bench power supply is manufactured for Circuit Specialists and incorporates SMT PC boards and dual built-in cooling fans for reliable performance and a long life. Compared to bench power supplies costing twice as much, the CSI3005XIII is similar quality at a fraction of the price. 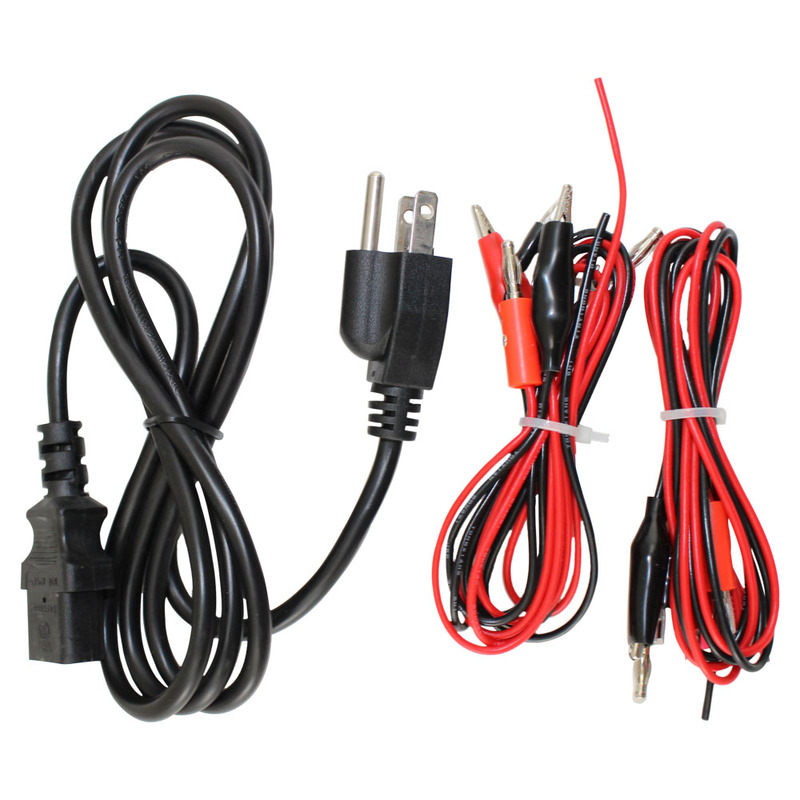 Also note: To set current limit on CC mode, use 2 volts during setting operation. For more information, refer to the CSI3005XIII DC Power Supply Owner's Manual. Here you can find the CSI3005XIII DC Power Supply's Schematic. Here is our 3.0 Amp version of this DC bench power supply.